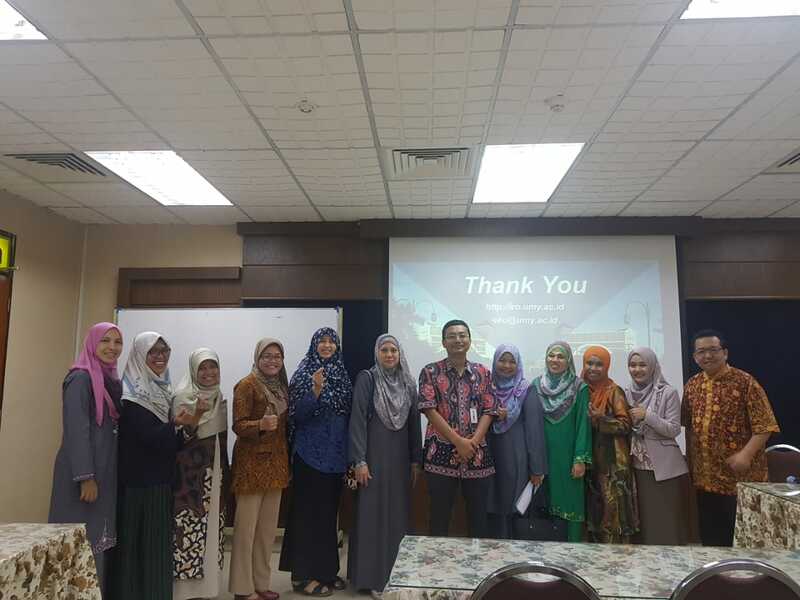 MGAA held a visit to Universiti Utara Malaysia on 1-5 October 2018. The MIP delegationconsisted of Eko Priyo Purnomo, S.IP., M.Res., Ph.D., Dr. Titin Purwaningsih, Erni Zuhriyati, S.IP., MA,Dr.phil. Ridho Al-hamdi, MA, Drs. Husni Amriyanto, and one MGAA’s student Helen Dian Fridayani werewell received by the Dean of the School of Government, Assoc. Prof. Dr. Zaheruddin Othman and severalSOG teaching staff, UUM. The discussion on credit transfer and dual degree received an agreement thatboth parties between MGAA UMY and SOG UUM agreed to hold a dual degree cooperation which isplanned to be implemented starting next year. Besides that cooperation is not only in the field ofstudent affairs, but also related to joint research for lecturers. MGAA UMY will also begin cooperationwith the School of International Studies (SoIS) UUM, at that time the MGAA group was also wellreceived by the dean, Associate Prof. Dr. Muhammad Fuad Othman. The discussion of researchcollaboration goes well, then just have a follow up between the two parties. Moreover, UMY staff alsohave taught at school of government, UUM. Then, Helen Dian Fridayani as one of the MIP studentsfollowed student mobility for 2 weeks at SOG. This student mobility program is expected to provideadditional knowledge and experience for students about how campus life abroad.